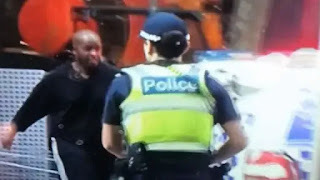 A homeless man who intervened in a terror attack in Melbourne has been hailed as a hero. 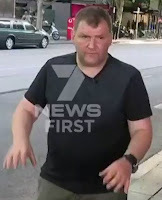 "The guy was out of control so I just went into action mode and tried to swipe him with the trolley." 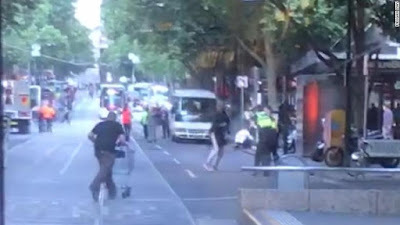 Images from the scene showed a man repeatedly shoving a shopping cart, known as a trolley in Australia, at attacker Hassan Khalif Shire Ali who had just stabbed three people and was threatening police with a knife. The attack began when a vehicle burst into flames. 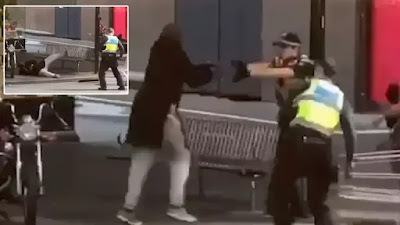 Hassan Khalif Shire Ali emerged and started stabbing passersby. One was killed, two wounded. 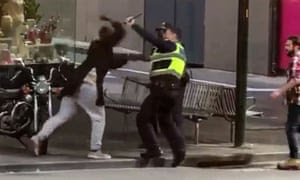 Police shot the attacker, who died in hospital. People who knew Ali said he was not a terrorist, he was suffering from mental illness for years.